A top quality gift set release from Aberlour. 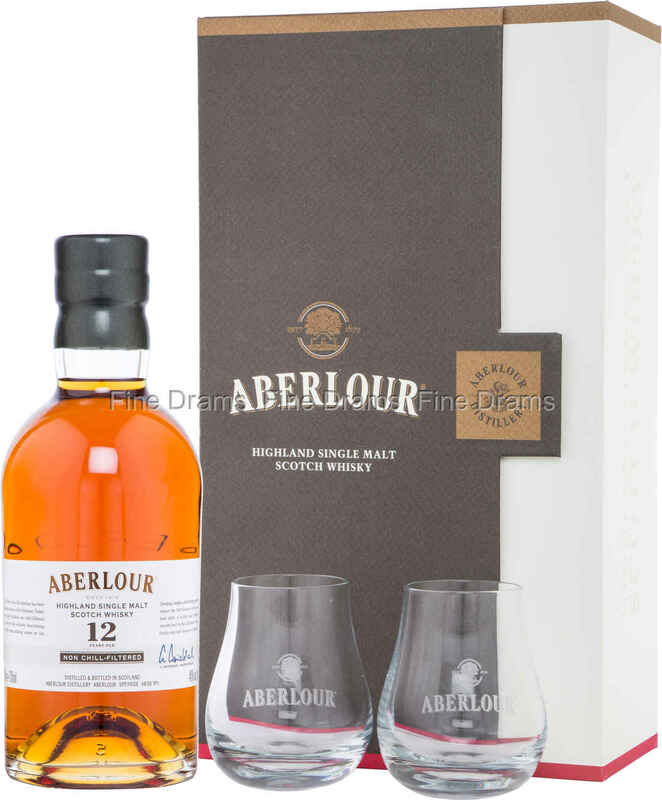 The bottle that comes with this set is a cracker, a beautiful 12 year old from Aberlour that demonstrates the distillery’s classic sherried house style with aplomb. Big Christmas cake flavours of fruit and spice dominate, with some classic Speyside apples and pears also apparent. The whisky is improved immeasurably by the fact it has been bottled at the higher proof of 48% ABV, and without chill filtration, ensuring that all the whisky’s delicious natural flavours are kept in the bottle. Two glasses franked with the distillery logo complete the set, ensuring that you can share your bottle with a very close friend, after all, whisky is for sharing. The gift set comes with a smart presentation box, and would be an excellent present option for any whisky drinker.